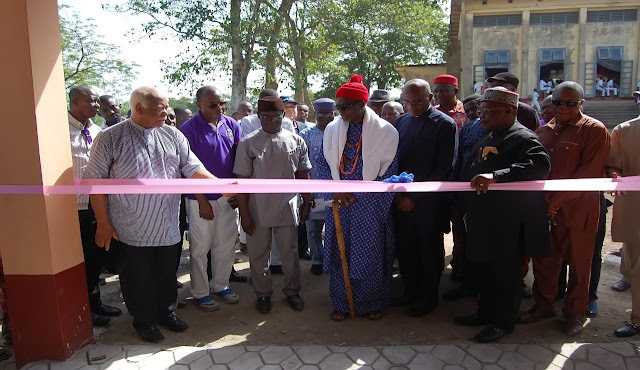 Government Secondary School Afikpo Old Boys Association (GSSAOBA), Abuja branch has commissioned a N6million ultra-modern sick bay at its Alma Mater in Afikpo, Ebonyi State, Nigeria. This noble gesture, according to the association, is part of its commitment to improving quality of secondary school education in Nigeria and schooling experience for the present and future students of the School in Afikpo. The commissioning ceremony was part of activities lined up by the Abuja branch of GSSAOBA for its President’s Year-End Meeting and Annual Thanksgiving Service which usually takes place in Abuja, but was moved to Afikpo this year in order to celebrate with the students and the school’s authorities while the school was still in session. L-R: Ejiofor Ezekwe, President Abuja branch (black cap); Sir Ify Eleje, immediate past president Abuja branch; John Ulu Nnachi, School Principal; HRH, Arch. Engr. Ewah Elechi, Isuoha 1 of Ohaisu Autonomous Community, Afikpo (2nd School captain in 1958); Prof. Onyechi J; Dave Nwachukwu, 1st National Vice-president representing the National president and Chief Chidi Abaraibe representing Senator Enyinnaya Abaribe at the commissioning of an ultra-modern Sick Bay at Government Secondary School Afikpo built by Government Secondary School Afikpo Old Boys Association Abuja branch. In his speech, the President of the Abuja branch, Mr. Ejiofor Ezekwe welcomed all guests to the School’s Assembly hall. He explicated values the school inculcated in them. “GSSA has prepared us for leadership that made us successful today. 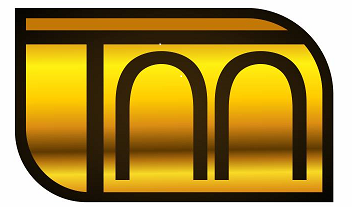 Our citadel has shaped the live of each and every one of us in such a positive way that launched us into great achievements in our various fields. To Government Secondary School Afikpo, we say a big “thank you”. He further stated that, “within seven years of resuscitating the Abuja branch, we have hosted two very special National Delegates Conferences; rehabilitated the School Pavilion at a cost of over N5 million. Our branch single-handedly resuscitated the game of cricket in the school, donating all the requisite gear that has enabled the school to launch back into contention on the national level; and then the Sick Bay, built and equipped at more than N6 million. We are able to accomplish all these with contributions from very special people comprising our members, our families and our friends”. The Sick bay was commissioned by HRH Arch. Engr. Ewah Elechi, the Isuoha 1 of Ohaisu Community of Afikpo and the 1954 GSSA School Captain. The royal father thanked the Old Boys Association world-wide for its “Rebuild and Restore” initiative aimed at rebuilding and restoring the school to its lost glory. He expressed his desire for the Sick Bay to be converted to a Community Health Centre that would cater for the health needs of both the student population and its immediate community. The sick bay has a reception area, nurse’s station, pharmacist’s room and pharmacy’ store, doctors’ consulting room and a four bed admission room fully furnished with high quality and modern medical equipment and supplies. The ceremony was described as a home coming for many of the old students who had not stepped their feet on the school’s premises for decade. The event was also used to celebrate the 50th anniversary of the 1967 set. The 1967 set adopted a motion to refurbish the School’s Assembly Hall, which serves as one of the iconic buildings in the school. The Assembly Hall refurbishment is now the next project for the set which is planned to be commissioned at the next home coming event. One of the highlights of the epoch making event was the presentation of certificates of appreciation and awards to deserving old boys for their untiring support to GSSA Old Boys Association activities. The recognition award was not just for members from the Abuja branch but other eminent members from other branches including Senator Enyinnnaya Abaribe. The awards were presented by the President of the Abuja branch, Ejiofor Ezekwe as a show of gratitude. The National Executive Committee of GSSAOBA is headed by Dr. JD Pearse as its National President. He was represented at the occasion by the 1st National Vice-president David Obasi Nwachukwu. The ceremony was attended by many of the GSSAOBA members around the globe. They include: Ejiofor Ezekwe, President Abuja branch; Sir Ify Eleje, immediate past president Abuja branch; Ekwunife Maduka, pioneer president Abuja branch; Prof. Ndu Eke, former national president GSSAOBA; John Ulu Nnachi, school principal; HRH, Arch. Engr. Ewah Elechi, Isuoha 1 of Ohaisu Autonomous Community, Afikpo (2nd School captain in 1958); Prof. Onyechi J; Dave Nwachukwu, 1st National Vice-president representing Dr. J.D. Pearse, the National president; Amb. Joseph Ayalogu; Dr. Mark Abani, vice-president Abuja branch; Hon. Irem Ibom, former member House of Representatives; Dr. Ogbonnaya Ibe-Enwo, Rector, Federal Polythenic, Uwana; former diplomat and Chief Chidi Abaraibe representing Senator Enyinnaya Abaribe among others.